CENTRO FIATI E PERCUSSIONI (CFP) is a musical instruments shop that has been based in Milan since 1985. We have over 30 years of experience serving customers in our store and, even more so, in our workshop. Over time, we have come to realize that our clientele are often confused when they are about to buy a musical instrument. Because there are so many products on the market, it can very hard to find the best value for your money. In order to make the process easier, CFP offers a series of select products which are individually inspected in our workshop before being put up for sale with all the necessary guarantees. Of course, we specialise in brass, percussion, and drums, but we also offer a wide range of basses, guitars, string instruments, educational instruments, music therapy instruments, and accordions, as well as plenty of instrument accessories. Moreover, we offer a wide choice of ethnic instruments imported from countries all over the world that allow our customers to discover new sounds and fascinating timbres. In our workshop, we test almost every single instrument that is sold in our store. 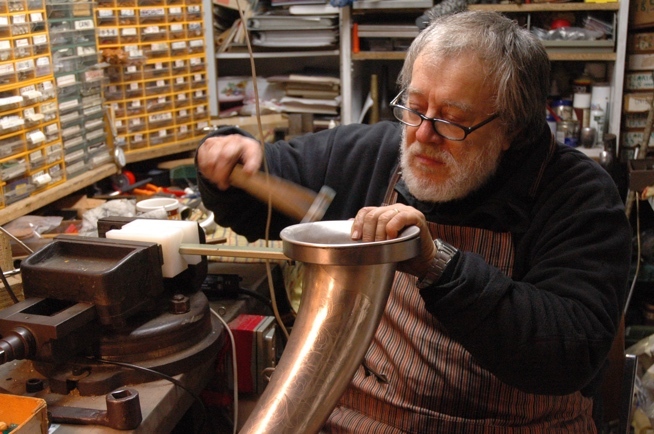 Thanks to our wealth of experience and equipment, we do far more than just simple instrument tuning and checking, we specialize in repairing brass instruments. We fix dents, mend keys, replace springs, and do everything else that we can to bring your brass back to life. String instruments are also welcome for repairs in our workshop, from simple string replacement to restoration of necks, headstocks, bridges, or cracked bodies. Opening hours: from 10.00 to 13.00 and from 15.00 to 19.30, from Tuesday to Saturday. Monday afternoon open from 15.15 to 19.30. Where we are: we are close to the Loreto Metro station. Not far from Milan's Central Railway Station.